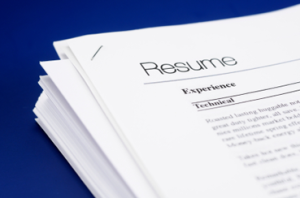 Home › FAQ › What Should Be Included in a Cover Letter For a Resume? If you’re getting ready to embark on a job search, you may be wondering what should be included in a cover letter for a resume. This letter should concisely inform potential employers of your credentials for the position and convince them that they should hire you above other qualified applicants, according to Forbes. There are a number of components that are must-haves when it comes to writing an effective cover letter. Let’s take a look at what those are. Yes, of course you should offer a professional greeting in your letter. However, it’s important that you address your cover letter to the correct person. If the job listing didn’t include a contact person or if you are applying for a position you heard about through word of mouth, you’ll need to do a little research. You can check the company website, browse LinkedIn or ask someone you know who works at the company. You may have to pick up the phone to ask directly. No matter what, find the name of the contact person for the specific position for which you are applying. Doing so will increase the chances of your letter being read. The intro is your chance to get the hiring agent’s attention. That means you have to say something quickly and concisely that tells the reader what you have to offer. Instead of simply offering your name and saying that you are applying for the advertised position, take this opportunity to shine. Introduce yourself by sharing an accomplishment that relates to the job for which you’re applying or another relevant tidbit that shows you’re a capable candidate. Doing so eliminates the need for the reader to search for concrete evidence of your worth, as often they merely skim cover letters. It also is likely to set your letter apart from the countless others that come across the recruiter’s desk. After your intro paragraph, examples of why you are such a great fit for the job should be included in your cover letter for a resume. Share only concise, relevant examples. Choose skills or accomplishments to highlight that are directly related for the position you want. Make it snappy so as not to lose the reader’s interest. In fact, you can even use bullet points here if you’d like. Next, you’ll want to be sure to show that you’ve done your homework and know a bit of information about the company. Check out the business’s website to learn what the main goals and practices are, as well as any other information that stands out. Share in your cover letter how you can contribute to the company’s vision or how a skill you possess might help them to reach their goals. Taking the time to include such information will show that you are thorough and that you are truly interested in working for this company, rather than simply looking for any job. The closing paragraph doesn’t have to be long. Just take a sentence or two to reiterate your relevant skills and accomplishments. Remind them why you’d be a good fit for the position. Then close with an invitation to contact you at their earliest convenience. Always thank them for their time. These tips should give you a good idea for what needs to be included in a cover letter for a resume so that you can go on to write a stellar example of your own.